For School and Community Groups! Hi, my name is Michael Bourada. 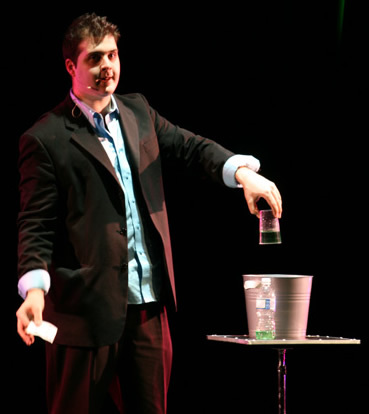 As a family entertainer, I’ve been performing magic in Ottawa and surrounding towns for 15 years. Each and every year my program raises thousands of dollars for community groups and schools just like yours. A spectacular family show that puts smiles on kids and adults faces…. at NO CHARGE WHATSOVER TO YOUR SCHOOL or GROUP! The All-Purpose Fundraising Program – Perfect for any time of year and sure to generate lots of $$ and lots of exposure for your cause. The Halloween THRILLusion show – Great for getting the attention around the spookiest time of year. Funding can be crucial early in a school year and this is a great time to make some $$$ and generate some attention in your community. 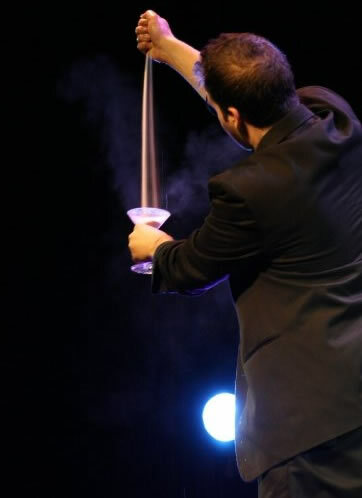 The Magic of Christmas Illusion show – A great time of year to take in a show with the entire family. This show also has a magical ending where SANTA transports from the North Pole, right to your own venue! This fun filled family event puts wonder, amazement and puts smiles on faces. It’ll make your group look really terrific in your community, get the awareness you need and give you the opportunity to generate LOTS OF MONEY for your cause. GUARANTEED! My schedule always fills fast, so contact me further to find out the easy steps to bring my show to your community. You have NOTHING TO LOSE and EVERYTHING TO GAIN. Last year most schools raised between $800-$1200+; not bad for a few hours work! Events these days can be tough to organize. Raising money for these events is even harder, until now! . Below are some of the constant demands that schools just like yours are raising money for every day. With schools, the possibilities to promoting the show are endless and the best part is that your market is right in front of you; children/students of the school and their families! The show is presented during an evening or weekend afternoon and it encourages the entire family to come out and enjoy a great performance along with raising money in the process for your group.